Save for rainy days. Save to retire. The sun may be shining, but it’s always good to save up for a rainy day! Setting aside some money in a savings account today can help you survive a financial emergency tomorrow. We cannot possibly plan for every expense that we encounter, so it always helps to set aside money for unanticipated expenses. Make it easy to add money to your rainy day fund by automatically depositing money from every pay period to a savings account. If you also make it more difficult to withdraw money from the account, then it will be easier to ensure that your rainy day fund is only used for emergencies. Small savings contributions will add up over time to form a bigger rainy day fund. Saving money for retirement keeps your quality of life high as you decrease your earnings. Just like building up a rainy day fund, it is easier to save for retirement in small amounts over a long period of time. If you have access to a work-related retirement program like an Individual Retirement Account (IRA) or a 401(k), try stepping up your contribution a little bit—adding as little as one percent to your retirement contribution now will make a big difference later. An IRA or a 401(k) that you cannot access immediately will be your best friend later. Look into how you can use these accounts to your advantage. Throughout the month of February, the Credit Union will be offering tips and workshops to help you grow your savings. 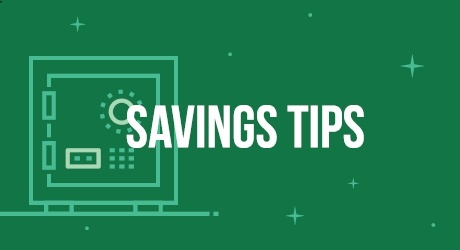 Ready to reach your savings goals? Join the Credit Union in participating in America Saves a national effort to set a savings goal, make a savings plan, and save automatically.